Whether it’s filling in as a delivery driver or fixing the pharmacy’s broken air conditioning unit, dispenser Victoria Bull has shown her worth time and again. 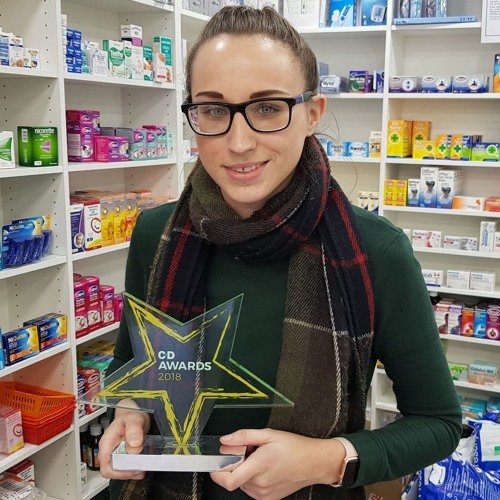 Find out what it took to win the coveted Pharmacy Staff Member of the Year trophy. If you know someone who deserves to win a C+D Award visit chemistanddruggist.co.uk/awards. Users who like Why is this dispenser nicknamed ‘the wolf’ in her pharmacy? Users who reposted Why is this dispenser nicknamed ‘the wolf’ in her pharmacy? Playlists containing Why is this dispenser nicknamed ‘the wolf’ in her pharmacy? More tracks like Why is this dispenser nicknamed ‘the wolf’ in her pharmacy?